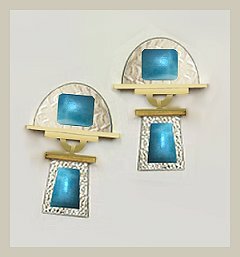 This is a computer generated image using modified images of actual stones and sterling silver textured sheet. Modified design using a faceted amethyst at the top. 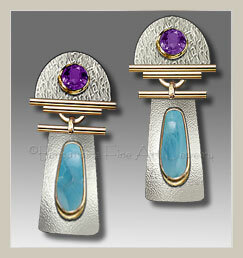 The earrings are 1 1/8" long x 5/8" wide at the widest part of the upper half circle.